This interactive map shows the highest points in every state in the USA. 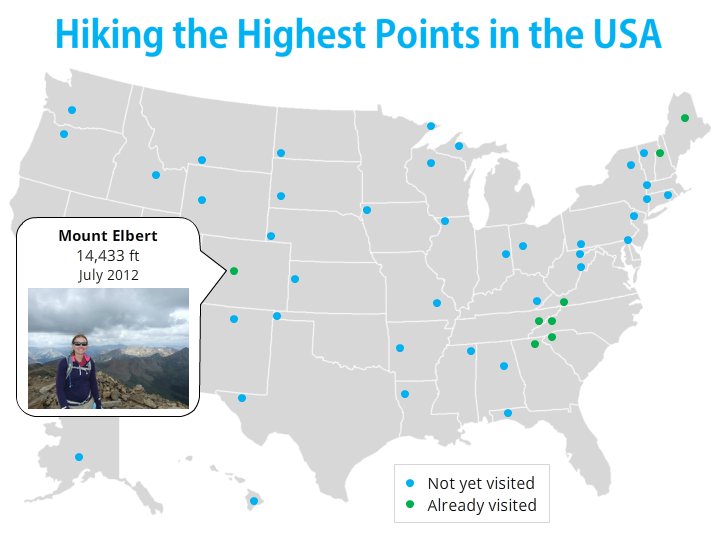 Clicking on each dot will show you the name of the highest point and the elevation. A picture and date are also displayed for the high points that I have hiked to. Currently, I have hiked to 8 of the 50 highest points. To create this interaction, I found a map of the United States on Wikimedia Commons, a map of the highest points and a list of the highest points in each state. Creating the design was pretty easy. I used blue dots for locations I have not hiked to yet and green dots for locations I have hiked to. 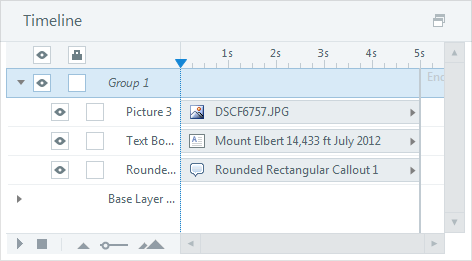 I used a call-out bubble to create the pop-up box and a text box with the highest point name and elevation. For locations I have hiked to, I also included the date and a picture. The baselayer includes the map, location dots, title and key. I created a layer for each state that included a call-out bubble, textbox and a picture (for the locations I have hiked to). 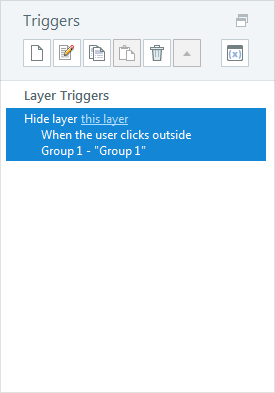 The baselayer has a trigger to show a particular layer when a dot is clicked. 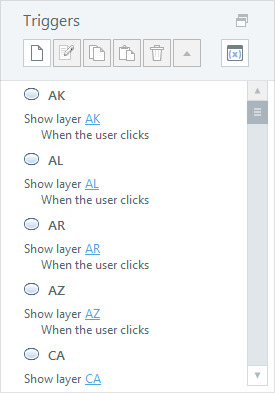 That layer then has a trigger to hide the layer when the user clicks outside of the call-out bubble. Feel free to download and use my Storyline file.